Unlike iPhones, 3D Printers are coming down in price and are getting progressively easier to use. 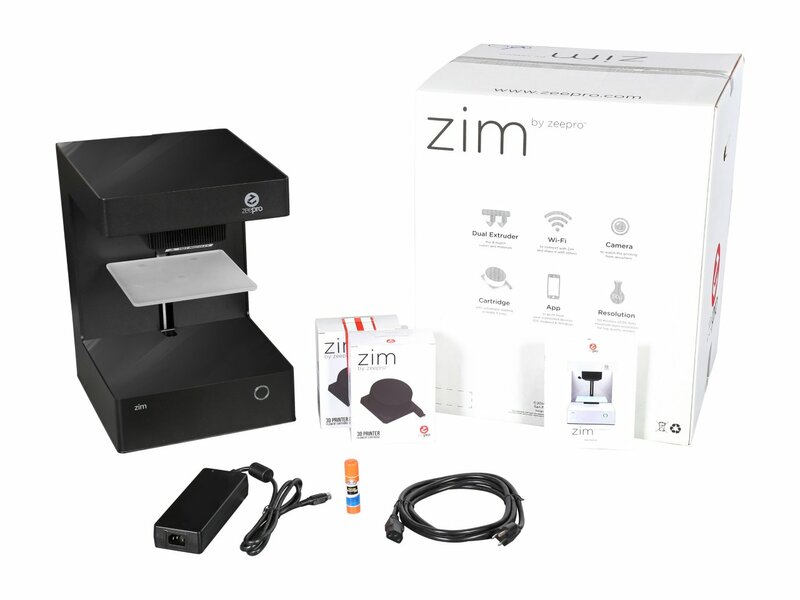 If you are a DIY freak you can get a 3D printer for just £100 with hours of fun putting it together. I’m More of a DIFMP (do it for me please) and 3D Printers that are ready made and designed to make printing as simple as possible tend to be more expensive choices. I’ve had a 3D Printer before which was a massive metal cube with a cloud based slicer. That was four years ago backed on Kickstarter and was promoted as the ‘true consumer oriented 3D Printer’. The print heads clogged up, the prints kept getting loose from the print bed and the final prints were not that good quality. Then the company collapsed after the founder was in a car accident. Then the printer became unusable because the cloud based software went down. I was practically left with a big metal cube of junk. I had pretty much decided to forget about 3D Printing until i saw the Dagoma Kickstarter campaign for the Neva. Im now a lot more aware of Kickstarter and what to look for when backing these days. 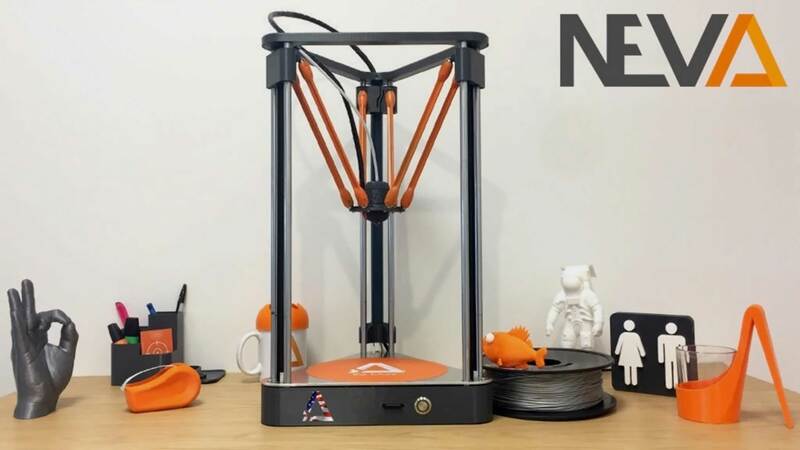 Dagoma had a proven track record in the 3D printing industry already and their new Neva was already a fully working product they could show. It was also much cheaper. So i backed the project to get an earlybird reward. Two months later and the 3D Printer arrived with complimentary sweets YUM! The simplicity of this printer compared to my previous printer gave me confidence that this was going to be a much better experience. The triangle design with its three pairs of magnetic arms is simple to put together and looks dam cool. Dagomas website needs some work and it took me a while to find their custom version of the slicer software Cura. 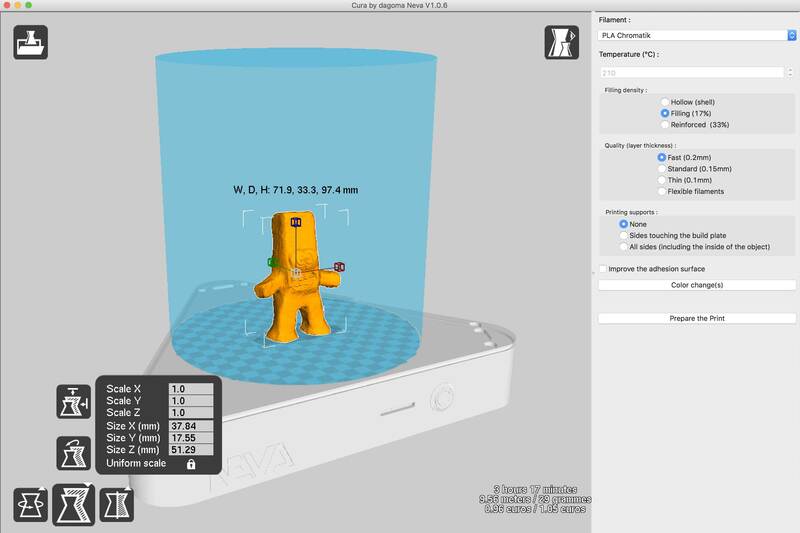 The Slicer Software is what calculates how the 3D Printer will layer the melted plastic to build your prints. The software is very simple with very minimal options and profiles. You can see what you are printing in 3D placed on a virtual triangle print base. When ready you simply click ‘prepare for print’ and it will save to the included SD card (Gave me a reason to finally use the card slot on the iMac). You then just plug the SD card into the Neva Printer and click the single button on the front to activate the printer. It warms up, calibrates then gets to business printing. Occasionally with fiddley prints the Print head would knock the print free from the base, but usually the print sticks firmly and there are some options in the software stage to add a more substantial base. From my amateur experience the 3D Prints were pretty good quality even on the lowest quickest settings. Changing the filament is easy once you know what to do. Their videos show that you can pause the print at any time and change the filament by simply clicking that one button, then double tapping the print bed. What was not clear is exactly where you are supposed to tap it and what exactly happens when it works. I later discovered that the touch sensitive double tap location can vary from one neva to another. Mine turns out to be just over the small letter ‘A’ at the end of the word Dagoma thats printed on the print bed. Once this double tap activates the extruder takes a moment to heat up before the motor in the orange side box reverses and ejects the filament installed. I originally did not know what was supposed to happen, so i would double tap and nothing would happen. So i would try and pull out the filament by hand which i now blame for the super clog. So after three days of use the Neva clogged bigly. I do not blame this clog on the 3D printer, rather my inability to understand how to properly replace the filament. The Neva could not push the filament into the extruder and i could not get into the extruder to unclog it. I read up on countless un clogging tips online and contacted Dagoma via their kickstarter page. At the advice of other printer users i used tiny needles to try and push up through the nozzle, and tried pushing hard through the top. 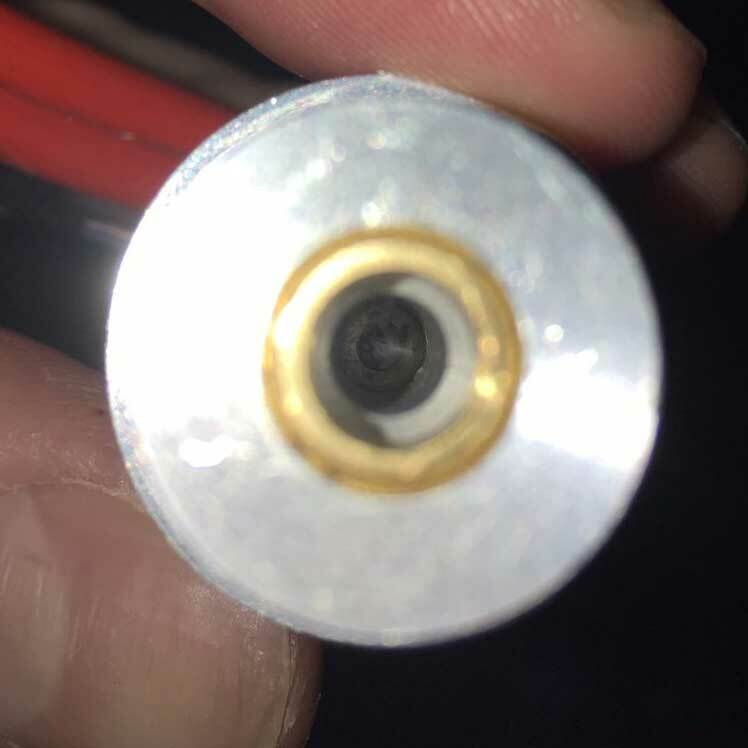 I used my iPhone to get a look down into the extruder and there seemed to be some hard filament blocking just as the filament would enter the heating block. The advice i got from Dagoma was ‘You should try to “launch a print’ and then pause it and unclog it once heated. To do so, you can use a needle, and go through the bottom of the printer and/or, try with a thin screw through the top of the nozzle’. down deep inside is a piece of plastic causing me a week of grief! So i went out and came back with a thin drillbit. Pushing hard and twisting seemed to do the trick cracking the hardened plastic. Now my printer is back in action and in a way the experience has given me a lot of info on how the printer works, how it can be easily unscrewed to get to parts and the various ways to try and unclog in future, plus Dagoma were pretty good with their responding to questions. So with all that out the way i’ve been having fun printing out different projects. It’s fun experimenting with what can be printed and the various ways to print things. This temple ruin was built for the Second Life Tea party during one night of the Escapades 7th Anniversary weekend, now printed as a reminder of that night. This figure was first made from sculpted clay, then scanned into digital form, then rigged in blender, then worn by Draxtor at SL14B Second Life, before being printed out into reality again as a plastic figure. 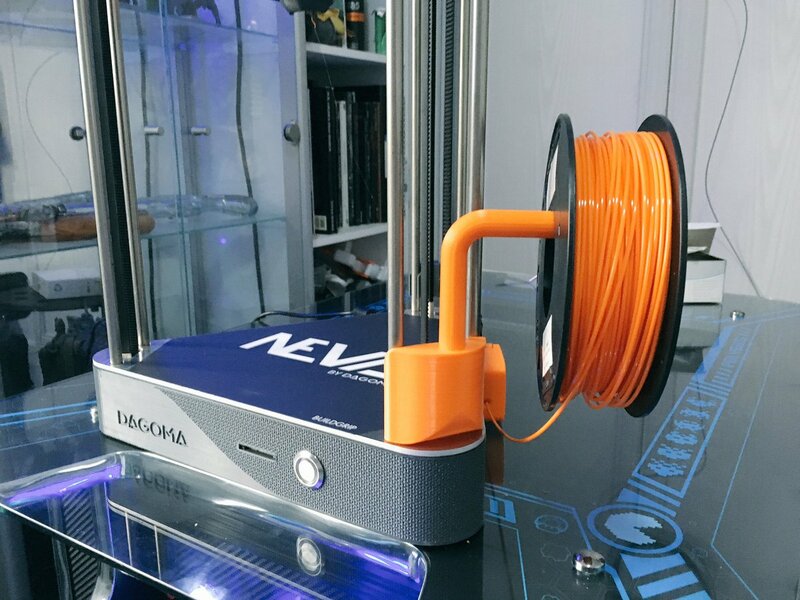 Was able to print out an addon upgrade for the Neva printer to hold the filament spool. Though i had the clogging issue i’m still very pleased with the Dagoma Neva. • It looks great, is light and easy to move. • Simple software for preparing models for print. • Dagoma responds to questions pretty quick. 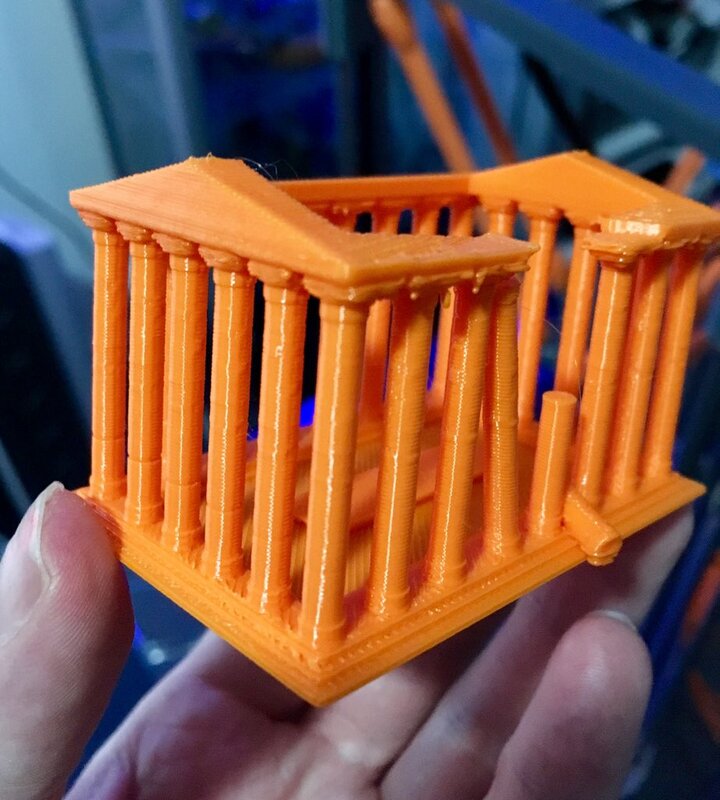 I love the filament holder – do you have the model? or the link to it?